EAW004534 ENGLAND (1947). Norcott and the Liversedge Goods Station, Liversedge, from the south-west, 1947. This image was marked by Aerofilms Ltd for photo editing. 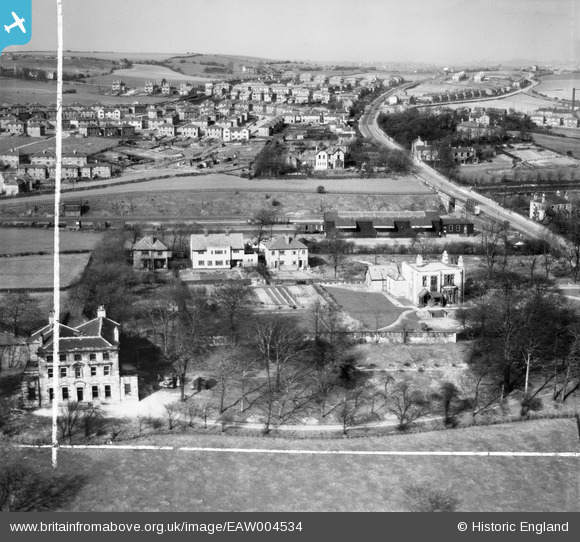 Title [EAW004534] Norcott and the Liversedge Goods Station, Liversedge, from the south-west, 1947. This image was marked by Aerofilms Ltd for photo editing. This is the wrong building. Lillibuts is actually out of shot.